The P-FINN is a cost-effective method of identifying object presence and/or orientation, and/or color. The key to the design is simplicity. 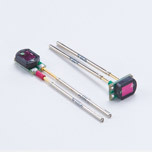 Other polarity tester solutions on the market are not capable of testing for proper orientation of large value capacitors such as Aluminum Electrolytic capacitors. 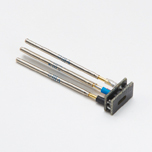 The P-FINN can test these capacitors for proper orientation by checking the polarity marking on the capacitor and making sure the alignment is correct. 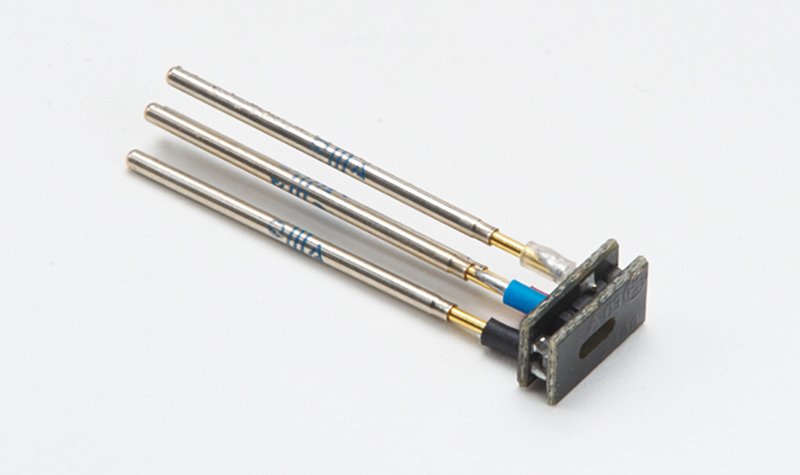 The P-FINN design includes both the LED light source and light sensor in a simple easy to mount assembly and is available with blue, green and red light sources. 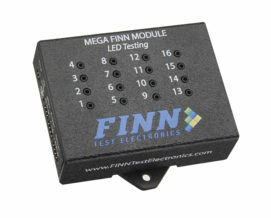 The P-FINN operates by reflecting light from the internal LED to a focal point and back to the sensor. 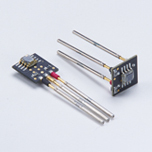 The output of the sensor is a DC voltage proportional to the reflective light. The more light reflected the higher the DC output voltage. 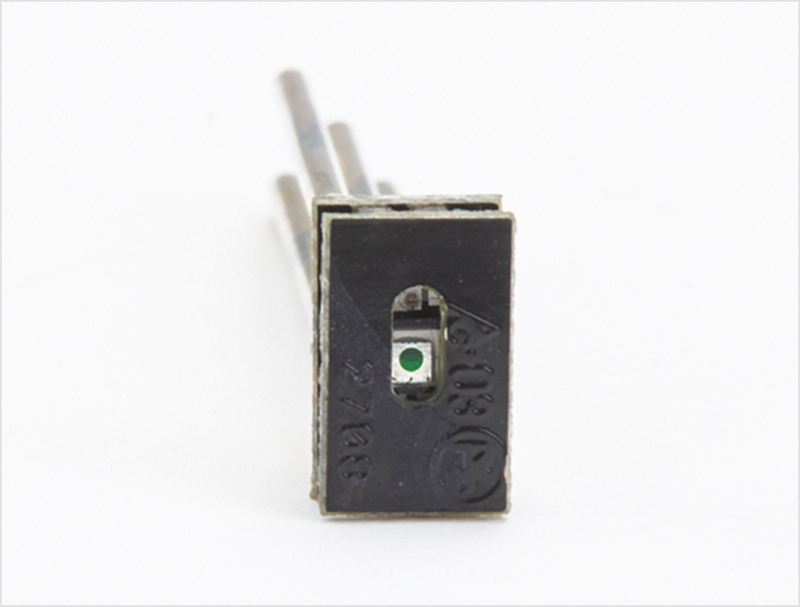 In the application of component presence, light would reflect off of the object back into the sensor resulting in a high output voltage. 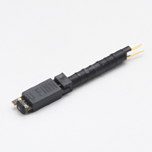 If the object is missing, then light would not reflect back and would result in a low output voltage. In the application of object orientation, the object must have a non-symmetrical color pattern. 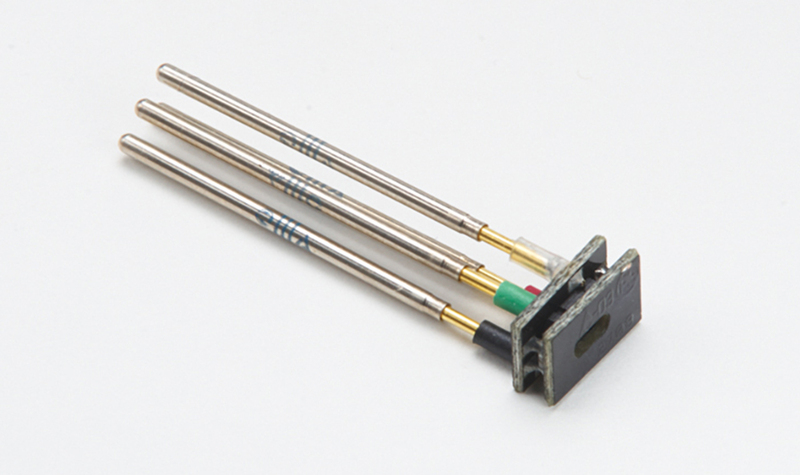 For example, if the object is light in color and has a black orientation mark, the P-FINN® would be aligned to a location on the part, so that it would have either the dark non-reflective orientation mark or the reflective surface under the sensor. 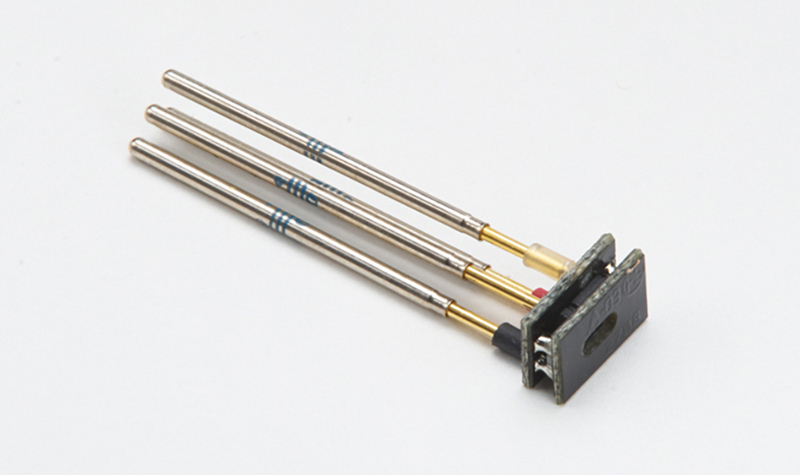 The sensor’s DC output will be low if targeting the dark orientation mark. 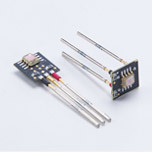 The sensor’s DC output will be high if it is targeted at the lighter reflective surface. Typically, if the component is missing the output would be zero. 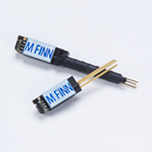 The PFINN® requires a minimal power voltage source, which may vary from 3.0 volts to 5.5 volts, current is typically 10mA @ 5Vdc.